For those who have oversized ears, there is a surgical option that can help you correct the appearance of prominent ears. Otoplasty, also known as ear pinning, is a surgical procedure used to correct larger ears that many undergo each year. 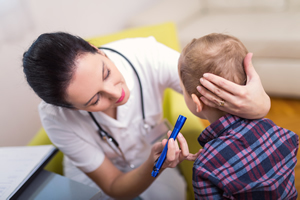 Candidates for this procedure can include healthy children, teenagers and adults who have no life-threatening illnesses or untreated chronic ear infections. Generally, a normally healthy child who is five years of age or older is a good candidate for this procedure. But it is not unusual for children as young as three years of age to have Otoplasty. No matter the age, the child’s ear cartilage must be stable enough for this corrective procedure to be effective. While more common for those ages 5-14, teenagers and adults can have their ears reshaped through Otoplasty as well. Older candidates shouldn’t have any chronic or undiagnosed health conditions that could impair healing. They should also be non-smokers. Regardless of the age of the patient, they should have a positive outlook and realistic expectations of the results the procedure will accomplish. Rapid recovery is a characteristic of successful Otoplasty. The patient usually wears a head bandage for about a week after the procedure. And, for the next month, the patient wears a headband at night in order for the new cartilage to “set” properly. If you are considering this procedure for yourself or your child, it’s best to speak with a doctor. A medical professional will walk you through the process and help you determine if it would be the right solution for your situation.